Once more in history, the game of greatly daring succeeded. Appalled by the reports of the dreadful threats emanating from a population without arms, and a handful of volunteers without powder, distrustful henceforth of the courage of his soldiers, and, if the truth must be told, of the fidelity of his fleet, Lanza sent General Letizia to Garibaldi betimes, on the 31st of May, with an unconditional demand for the continuance of the armistice. A convention was drawn up, which conceded the fullest liberty to the royalists to supply their material wants, succour the wounded, and, if they desired, embark them on board ships with their families for Naples. 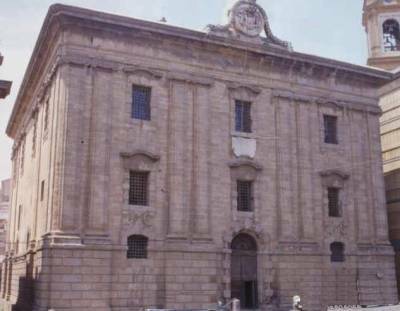 borbonic prison in palermo. to be a prisoner in a bourbon prison was according to some very bad news. Garibaldi, had a special tenderness for the victims of that civil strife which his soul abhorred, and he never forgot that the enemy was his fellow-countryman. His influence sufficed to secure to the royal troops an immunity from reprisals which was the more creditable because some horrid crimes had been done by miscreants in their ranks when they found that they were getting the worst of it in the street-fighting. 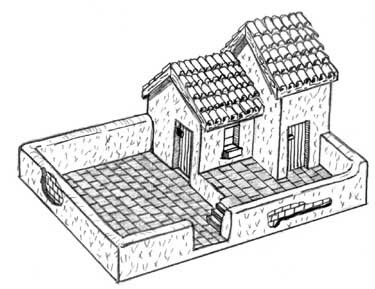 Unfortunately the same mercy was not extended to some of the secret agents of Maniscalco, head of the Sicilian police, who, discovered in hiding-places by the mob, were murdered before any protection could be given them. At the time the act of barbarity was judged, even by English observers, with more leniency than it deserved (because cruelty can have no excuse), so great was the disgust excited by the most odious system of espionage ever put in practice. The convention bore the signatures of 'Ferdinando Lanza, General-in-Chief,' and of 'Francesco Crispi, Secretary of State to the Provisional Government of Sicily.' 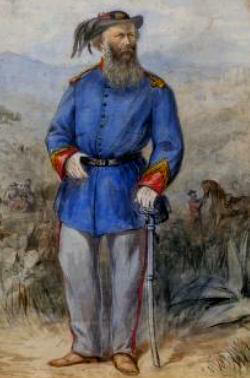 One article provided for the consignment of the Royal Mint to the victors; a large sum was stored in its coffers, and Garibaldi found himself in the novel position of being able to pay his men and the Sicilian squadre, and to send large orders for arms and ammunition to the Continent. 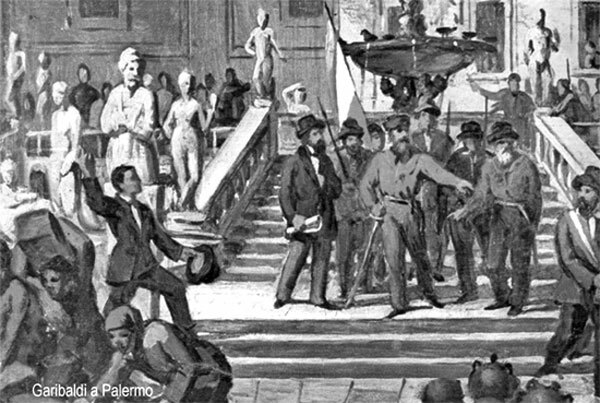 General Letizia made two journeys to Naples, and on his return from the second he came invested with full powers to treat with Garibaldi for the evacuation of the city. On the 7th of June, 15,000 royal troops marched down to the Marina to the ships that were to take them away. 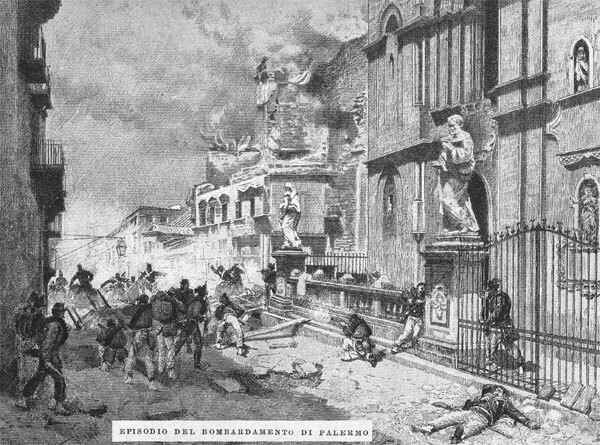 At the entrance of the Toledo, the great main street of Palermo, Menotti Garibaldi was on guard, on a prancing black charger, with a few other Red-shirts of his own age around him, and before this group of boys defiled the might and pomp of the disciplined army to which King Bomba had given the thoughtful care of a life-time. The closing formalities which wound up these events at Palermo formed a fitting ending to the dramatic scenes which have been briefly narrated. On the 19th, General Lanza went on board the Hannibal to take leave of the British admiral. He was covered with decorations and attended by his brilliant personal staff. There, in the beautiful bay, lay the ship on board which he was to sail at sunset, and twenty-four steam transports were also there, each filled with Neapolitan troops. The defeated general was deeply moved as he walked on to the quarter-deck. 'We have been unfortunate,' he said—words never spoken by one officer of unquestioned personal courage to another without striking a responsive chord. When he quitted the Hannibal, the English admiral ordered the White Flag of the King of the Two Sicilies to be hoisted at the foretop-gallant masthead for the last time in Sicilian waters; and a salute of nineteen guns, the salute due to the direct representative or alter ego of a sovereign, speeded the parting guest. Thus, wrapped in the dignity of misfortune, vanished the last semblance of the graceless and treacherous thraldom of the Spanish Bourbons in the capital of Sicily. The flag of Italy was run up on the tower of the Semaphore. Everywhere the revolution triumphed except at Messina, Milazzo and Syracuse. Even Catania, where a rising had been put down after a sanguinary struggle, was now evacuated and left to itself. So the 20th of June dawned, and the Queen's ships in the harbour put forth all their bravery of flags in commemoration of her accession, which display was naturally interpreted by the Palermitans as a compliment to the Dictator, who had fixed that day for calling on the British, French and Sardinian admirals and on the captain of the United States frigate Iroquois. With what honours the American captain received him is not recorded; for certain it was with cordial goodwill; of the others, Admiral Mundy treated him as on the previous occasion; the French admiral affected to consider him a 'simple monsieur' who had unexpectedly come to call, whilst Admiral Persano, on board the Maria Adelaide, gave him a salute of nineteen guns, which formed a virtual recognition on the part of Piedmont of his assumption of the dictatorship. Cavour had ordered Persano to act on his own responsibility as the exigencies of the hour demanded, and the admiral knew that these vague instructions assigned him a more vigorous policy than the other ministers would have agreed to officially. His bold initiative was therefore justified. As some severe words will have to be said of Persano in a later chapter, it is well to remark here that during his Sicilian command he behaved like a thorough patriot, although it was not in his power to render such great moral services to freedom as were undoubtedly rendered by Admiral Mundy, who at the same time acted with so much tact that his neutrality was not impugned, and he even won the equal personal gratitude of both parties. On the other hand, the Austrian commodore, Baron von Wüllersdorf, succeeded in pleasing no one and no one pleased him. He did not expect that the Garibaldians would lose much love to him, but he took it unkindly that the royalists fired at his boat with himself in it, and the Austrian flag at the stern. In high dudgeon he related this grievance to his British colleague, who gently suggested that since Austria had always supported the Bourbon system of Government, it was hardly strange if the royalists were hurt at receiving neither assistance nor even sympathy from the Austrian squadron which witnessed their destruction. The remark was acute; even Austria was, in fact, tired of the Bourbons of Naples; a portent of their not distant doom. 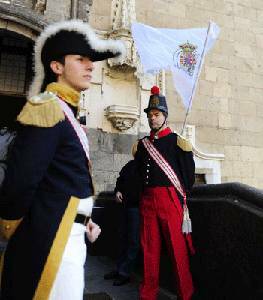 But it was not likely that the royalists should appreciate the phlegmatic attitude of their erewhile protectors. The concluding military operations in Sicily presented a more arduous task than, in the first flush of success, might have been anticipated. In the general panic, one, if one only, royalist officer, Colonel Del Bosco, turned round and stood at bay. His spirited course was not far from undoing all that had been done. Fortunately Garibaldi had received important reinforcements. General Medici touched the Sicilian shores three days after the evacuation of Palermo with 3500 volunteers, well-armed and equipped out of the so-called 'Million Rifle Fund,' which was formed by popular subscription in the north of Italy. The Dictator went as far as Alcamo to meet the hero of the last glorious fight of Rome, whom he greeted with delight and affection. Later, arrived the third and last expedition, consisting of 1500 men under Cosenz, till recently commander-in-chief of the Italian army. Garibaldi arranged his forces in three divisions; one, under Türr, was sent to Catania; the second, under Bixio, to Girgenti; the third, under Medici, was to follow the northern sea-coast towards Messina, the strongest position still in the enemy's hands. All three were ultimately to converge with a view to the grand object of crossing over to the mainland. Medici had 2500 men; the royalists in and about Messina could dispose of 15,000. The Garibaldians did not expect much opposition till they got near Messina, but when they reached Barcelona they heard that the garrison of Milazzo had been reinforced by Del Bosco with 4000 men, with the evident design of cutting off their passage to Messina. It is said that this move was made in consequence of direct communications between that officer and Francis II., whose ministers had already decided to abandon the whole island. But Del Bosco secretly assured his King that such a measure was not necessary, and that he would undertake not only to bar Medici's advance, but to march over the dead bodies of the Garibaldians to Palermo. Milazzo is a small hilly peninsula, on which stands a fort and a little walled city. The spot was well chosen. On the 17th of July, Del Bosco attacked the Garibaldian right, and it was not without difficulty that Medici retained his positions. Some further reinforcements were sent to Del Bosco from Messina, though not so numerous as they ought to have been, but they would have almost ensured him the victory had not Medici also received help; Cosenz' column, and, yet more important, Garibaldi himself with the 1000 men he had kept in Palermo, hastening at full speed to the rescue. The belligerents were, for once, about equally balanced in numbers when on the 20th of July Garibaldi attacked Del Bosco with the purpose of driving him on to the tongue of the peninsula, thus cutting him off from Messina and leaving the road open. A desperate engagement followed. The Neapolitans showed that they could fight if they were properly led, and inflicted a loss of 800 in killed and wounded (heavy out of a total of 5000) on their gallant opponents. Garibaldi's own life was nearly sacrificed. He was standing in a field of prickly pears in conversation with Major Missori when a party of the enemy's cavalry rode up, the captain of which dealt a violent blow at him with his sword, without knowing who it was. Garibaldi coolly parried the blow, and struck down his assailant, while Missori shot the three nearest dragoons with his revolver. Hearing the noise, other Garibaldians hurried up, and the chief was saved. 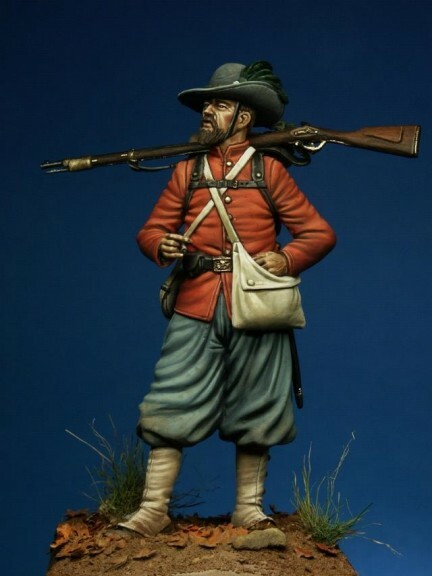 For a long time the issue of the battle remained uncertain, and it was only after hours of severe fighting that Del Bosco was compelled to recognise his defeat, and to take refuge on the projecting strip of land as Garibaldi had meant that he should do. 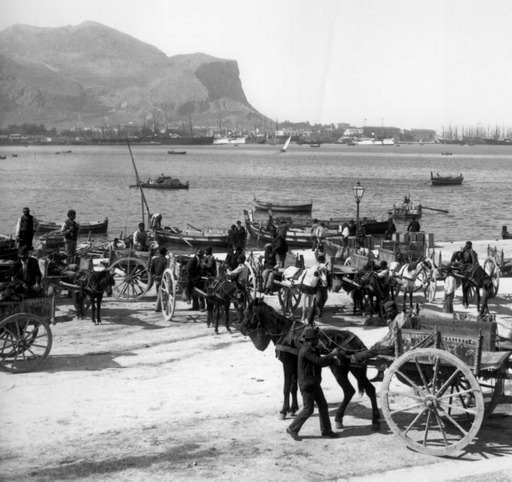 A few days later, four transports arrived in the bay of Milazzo to carry Del Bosco and his men to Naples. The ministry had prevailed, and the complete abandonment of the island was decreed. General Clary, commandant of Messina, informed Garibaldi that he had orders to evacuate the town and its outlying forts; the citadel would be also handed over if the Dictator would engage not to cross to the mainland, but this conditional offer was declined.